I am not a coffee drinker. Never have, and probably never will be. But, I do love the smell of coffee, walking into a Starbucks or little coffee joint, yes, I do love that smell. Not sure why I don't like the taste? I bet, if I doctored it all up, you know, with cream, sugar, etc., I might like it, but I'd rather take in my calories with food. Like these scones. 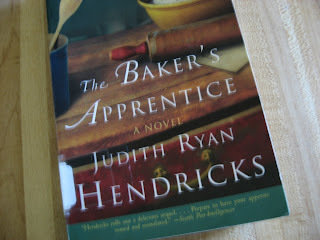 I got the recipe from the book I'm reading right now, The Baker's Apprentice. Great read, I high recommend it, along with the prequel before it. I substituted walnuts for the hazelnuts (which I didn't have on hand) and instant cappuccino powder instead of the instant espresso powder (which I also didn't have on hand). I'm testing these scones out at the farmer's market today. If they are a hit, they'll be back, and maybe some other versions too. I'm thinking blueberry? Or chocolate chip? Preheat oven to 400 degrees and line large baking sheet with parchment paper. In a large bowl, whisk together the first five ingredients. Cut in butter with a pastry blender or fork until pieces are about pea size. Add the walnuts and toss to combine. I know it sounds like a lot of directions, but trust me, they are easy and come together quickly. I can't wait to try one, as they look delicious! Same here! I love all things coffee, except actual coffee. These sound so good. These scones look amazing! I wish I was at your farmer's market, I'd definitely be taking some home!! I've always loved the smell of coffee! But it wasn't until college that I started drinking it. I'd start by mixing it with hot chocolate and over the years I've grown to love it with just a bit of cream and sweetener. I will have to check out those books! 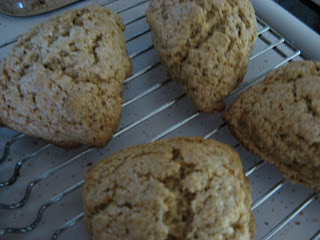 scones are so fun to make and look so cute. i love love love the smell of coffee! 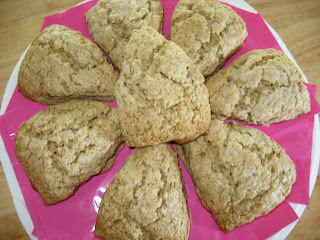 Lovely scones with the flavour of coffee and cinnamon, i'll be happy to have this for our tea time. I was the same way, loved the smell of coffee, but never liked it. Then last year, I tried it again and now I love it! I went 41 years without a cup and now I have one every day! You gotta read Cooking for Mr. Latte next! Oh yum! I love scones. But I must say, I enjoy them most with a nice cup of coffee :). these sound tasty...maybe instead of nuts use choc. chips? GREAT!!! recipe for scones and I like all the nuts. Those scones do sounds delish. You'll have to let us know how they do at the market! These sound so good! I add so much creamer to my coffee that my husband claims it's not even coffee anymore! I love that you used instant cappuccino powder, instead of instant coffee. I'm the same way - love love love the smell of coffee, but not a huge fan. I much prefer tea - but that's ok b/c scones go w/ tea too! Yours look/sound delicious! Good luck selling them at the market! Thanks for sharing w/ Friday Firsts too!